Now we are inviting you to submit designs for a fresh batch of fund-raising merchandise in support of our AKT Team members preparing for the 11th ASEAN Kendo Tournament in Bangkok come July 2016. The squad has already commenced training for the event. 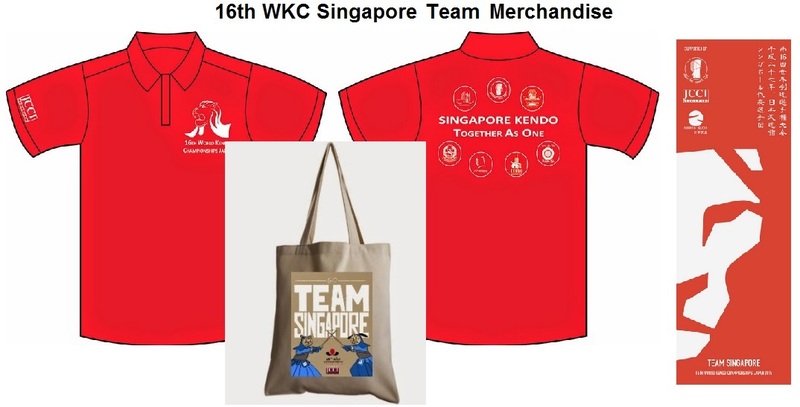 c) words "11th AKT 2016 Team Singapore"
Winning designers will receive the item that they designed as a prize! • Can be submitted in both digital (.psd, .ai) or on paper (hand-drawn or printed) format. • Design must be limited to 2 primary colours only. Unless necessary, please avoid using gradient colours in your design. All submissions to me, Grace, via email please. Please do not hesitate to ask, should you have any questions. We really need your help and support to make this fund raising a success.